Spartans have been ejected from the Lowland League Cup after naming an ineligible player in their line-up. Goalkeeping coach Mark Cairns was on the bench for Saturday's 4-0 quarter-final victory over Preston Athletic. "I did the team lines myself and noted Mark as a trialist and didn't realise that trialists could not play in the competition," chairman Craig Graham told the official Spartans website. "I apologise to our coaches, our players and supporters for this error." 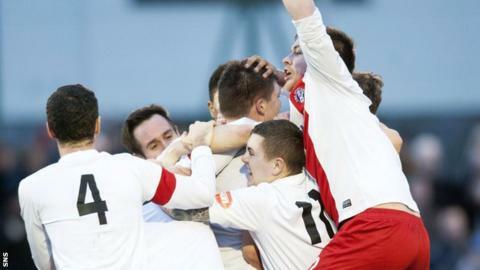 He added: "Obviously it brings a premature end to the season for our Lowland League side. "It has been a season with a number of superb highs but has ended with this disappointment. It does give us extra resolve to come back next season with added determination."